Clicking on the heading "Document View Period" will open the options to set the default view period. Ability to set a period for which will be viewed documents and reports. 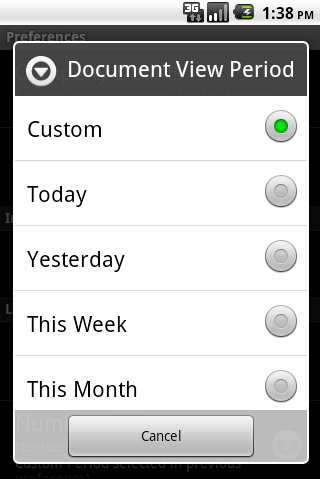 If set to "Custom" in the next setting "Number of Days", you must specify the number of days to view the documents.